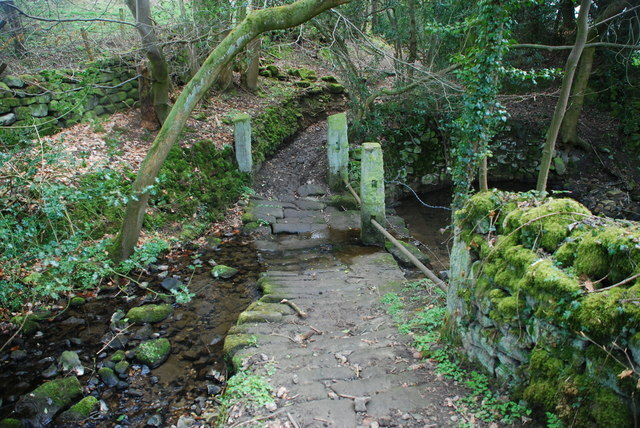 This byway ford is found on Marsh Brook. The byway is adjacent to Marsh Green Farm and shop and becomes very narrow at the approach to the ford. There is a wider farm ford within the environs of the farm immediately beside the byway. SK3463 : Ashover Church North Face One of the bells in this church is inscribed 'rung the downfall of Bonaparte and broke April 1814' (date of his retreat from Moscow). Was there a particular reason for this event being commemorated in the parish; or just coincidence that the bell happened to break then?